For the latest news and updates please follow us on Facebook and Twitter. My video appears to have a pink tint to it during daytime videos, what can I do to fix it? The pink tint on videos or your LCD viewer means the IR filter has been activated for night time mode and there is not enough light present. The easiest way to get it to switch back to daytime, when set to auto, is to hold it up to a light or towards a window if indoors. You should hear the IR filter move and hear a switch sound when it moves back and forth. If you want it to go back in to night time mode, you can simply cover up the light sensor with your hand and it will switch back into night mode. You can also set the IR filter to manual mode. I've installed the body cam software but my camera is not being recognized! You must disable driver signature verification before you install the program. You will need to uninstall the program and reinstall it with driver signature verification disabled. My camera says card full! How do I format my card? If you are on windows, plug your camera into your PC and navigate to "My Computer" or "This PC". You should see your body camera's assigned drive letter. Usually D, E, or F. Depending on how many devices are connected to your computer. Right click on the drive letter assigned to your body camera and select "Format" towards the bottom. Another window will pop up showing you the settings available to format your device. Make sure the "File System" is set to fat32 if your camera is a 32GB model or smaller or exFAT if your camera is 64GB or larger. Enable "Quick Format" and then press "Start". Your device is now formatted. What is the difference between software mode and password mode in the cameras menu system? USB Mode: The password mode allows you to transfer files directly to your PC via USB, when the devices password is entered. Software Mode: The software mode allows you to lock down all the advanced functions of the camera except for recording videos, taking photos or audio files by the end user. Ideal for departments that do not want the end user to change camera settings. How do I view the files I have recorded? You can view the files directly on the device, using the HDMI to view on a TV or transferring the files via USB to a PC. Note: If your camera is in police software mode you will have to use the police software. What is the difference between high, medium and low in the video quality menu option? High, medium and low are referring to the bitrate of the video. The higher the bitrate the higher the video quality. If you want to get the most battery life, setting the video quality to low will allow you to get up to 1 hour of extra battery life in certain modes. Can I enable night vision mode without the infrared LED's glowing red for stealth operations? Yes, with our latest firmware you now have this option. In night vision mode, the cameras lens infrared filter is removed which allows more light to pass thru which enables the camera to be 3-4X better than in day mode in low light conditions. Does audio record with the video in pre-event recording mode? Yes, audio and video are both recorded while in this mode. I can't get the remote to work with the camera! Hold down the photo button on the remote and press the power button on the camera. This will manually pair the remote to the camera if it is not working. 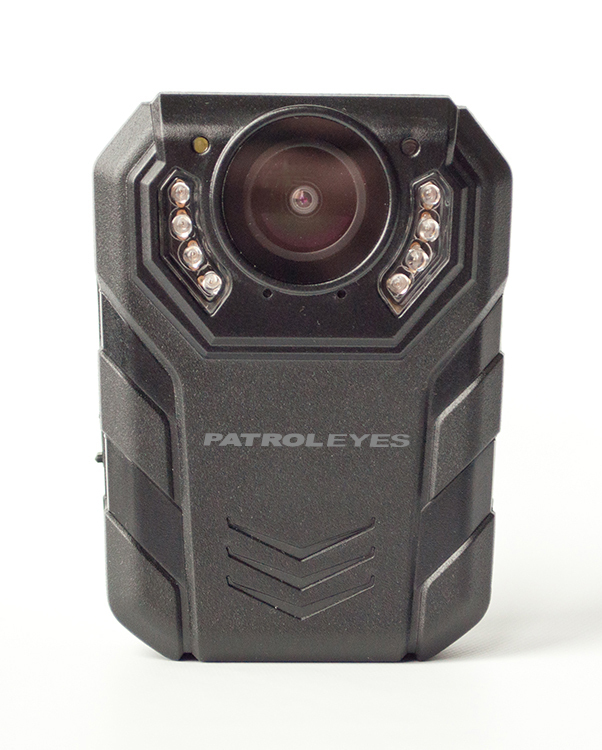 The displayed shipping price is for '1' PatrolEyes DV7 HD Ultra Police Camera FAQs and Manuals. To find the shipping cost for all your items, please view your cart.